Saturday 8th April 2017 saw the latest in a run of successful public paranormal lockdowns in historic Wicklow Gaol. 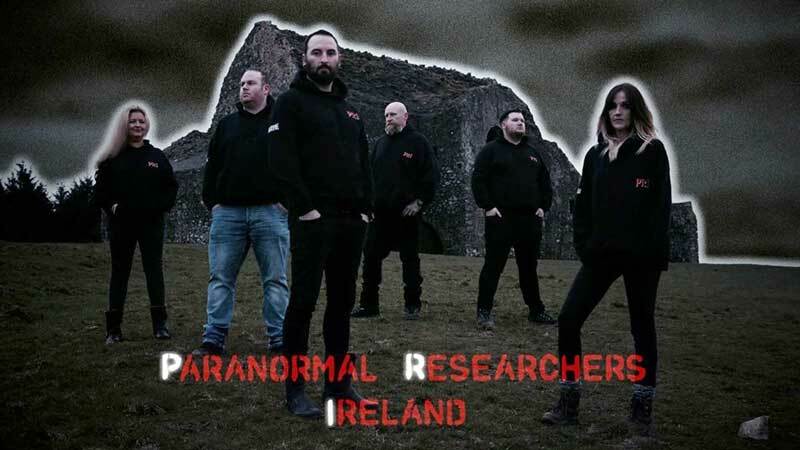 Under the expert watchful eyes of Paranormal Researchers Ireland (this night without PRI co-founder Wayne Bolger), those lucky enough to get a ticket were about to experience first-hand being locked in one of Ireland’s most famous and horrifying prisons. ANN MASSEY O’REGAN: This has been a long time coming for me. I was so excited as I have written about the place and talked of it often, but now I was getting the opportunity to take part in the Gaol lockdown with an incredibly professional and well-seasoned paranormal team. Having already attended a public lockdown, I was curious to see what demographic attended this event and what their reactions would be to Wicklow Gaol at night – and who knows, maybe experience some activity myself?! And don’t forget it’s lights out all the way! CHRIS RUSH: As a lead investigator I have been to this location many times and conducted many public events as a part of PRI. I am always so excited about Wicklow Gaol lockdowns, I love doing them. Personally I can’t get enough of old buildings and the history that goes with them. Following previous lockdowns, I was going in with a sense of excitement and intrigue because the last session was very active. I was very interested to see what the night would bring. AOR: We went to the Solitary Confinement cell in the dungeon, led by Bryan Byrne and Dominic McElroy. Almost immediately a female in the group felt she was unable to look up, like she was a bold child. Another participant felt a breath as if someone was right in their face. Sounds such as taps and bangs were also drawing attention. It seemed that women were getting more responses than men from the word go. CR: Yeah, I’ve led dungeon investigations often and people do seem to have plenty of experiences down there which is not surprising. Being dizzy was a recurring one and in this and past lockdowns it did seem that the females of the groups were getting the best equipment reactions. AOR: You saying that, Bryan had his PSB11 to pick up audio through FM frequencies and what seemed to be the voice of a child came through after a question being asked by a woman in the session. It’s funny because the feeling throughout the session was that the group was experiencing the presence of a child. CR: That makes sense as that’s the impression left after various sessions in the past. AOR: Well Bryan was looking for someone to spend time in the cell next door alone so naturally yours truly volunteered. Of course it’s always a great start when a mannequin head is left just inside the door of the cell! CR: So did you experience anything? AOR: To be truthful no, it was really calm and quiet. There was a rattling off of the pipe behind me but with pipes being pipes and the acoustics of the location I wasn’t reading anything into it. It was fun to do though! AOR: This session was led by Billy Cullen and Natalie Fowler Phelan using just a K2 meter as far as equipment went. Billy mentioned there was a spot in the room that caused a reaction with the previous group but he didn’t say what or where. CR: You see we don’t want to put pre-conceived ideas into people’s heads so while we mention that something has happened so we can see if the event repeats itself, we want the group to discover it for themselves. AOR: Well guess who discovered it?! I had been so warm and a sudden chill started at my legs and went right through me. It was then pointed out the K2 meter was flashing away as I held it. As that passed, there was a sound of something hitting the concrete floor. A torch showed it was a penny that had flown out of a coat pocket that the man beside me was holding. I did notice that every time there was an anomaly or equipment reaction it was when the group was more relaxed and laughing and joking. CR: Well it’s said that laughter and so on apparently can raise the energy in a location. AOR: Another weird thing was that, for want of a better description, a “head shaped” shadow kept blocking out the hatch in the cell door. It was a repeated and deliberate action sweeping from right to left. It was seen by the group members facing the door including myself. I got those nearest the door to move about to try and recreate it and we checked outside, but no one was there. Strange! CR: With your group in Cell 30 with me there were also reports of a shadow being seen through the hatch if you remember. There have been alleged sightings of shadow figures outside the cells and of course prisoners would be checked on by guards looking through the hatches! AOR: This session was led by Tina Barcoe, Shayne Phelan and Liam Canty and they introduced us to the Thermal Imaging Camera as well as using a voice box and K2. We also went old school and used a glass on a table with fingers touching lightly for supposedly giving energy on contact. AOR: Actually it did and it seemed to be focused on one particular woman touching the glass. The glass appeared to move towards her as she asked questions. She actually felt she knew exactly who was trying to make contact. On its own it would be nothing but the K2 was responding in tandem which made things more interesting. CR: Did you get any hits with the thermal or the voice box? CR: You know yourself Ann, with the voice box running on an FM frequency there is the possibility of receiving actual fragments of FM broadcasts, although some of the responses you heard did appear to be question specific. AOR: Well lead investigator for the final session was none other than yourself Chris Rush! You seemed to have every piece of paranormal investigation equipment known to man with you, run me through them! CR: Ha ha yes I do like the technical stuff. It helps provide a great baseline and gives us something to help validate personal experience. The laser grid when focused on a spot will black out at any point the beam is breached. The EDI-meter is one of my favourites because it is a 3-in-1 device as opposed to relying on a singular piece of equipment. It covers EMF, vibrations and fluctuations in temperature. AOR: You said at the beginning of the session that you wanted females only to ask questions to begin with. Why was that Chris? CR: Well the previous groups had believed a child was present, similar to your first session with Bryan. I wanted to see if the equipment responses would replicate prior sessions. That’s why I also brought in the use of the ‘Gotcha’ for picking up short range sound and marked it off for Billy to check against the EVP recordings we were taking so nothing would get missed. AOR: You were adamant about instilling respect into proceedings and making sure that questions were relevant to the Gaol. CR: Oh absolutely. 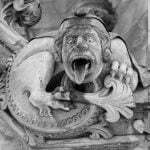 If there are spirits they shouldn’t be expected to perform on command and the questions need to be based on the history of the location you are in rather than random for continuity, especially if we are getting hits with the equipment. AOR: You also got us to repeat questions that had previously seen a reaction on the kit. What was that all about? CR: If the question asked initially gets an equipment reaction, I like to validate it further by seeing if a repeat question gets the same response. It gives clarity and tells me if we are approaching the session the right way. CHRIS RUSH: As always, PRI cannot wait to investigate this incredible building again. A massive thank you to the amazing public who joined us Saturday night and made it a such great investigation for everyone involved. ANN MASSEY O’REGAN: It was a fantastic experience and I got to meet some wonderful people. With PRI events those attending are of all ages and backgrounds and none of them have the same reason for being there. The amazing thing (and this is where all credit goes to Tina and the Paranormal Researchers Ireland team), is that within seconds of the first session, everyone in it, people that have never met, become a team themselves. Working together, supporting one another, laughing and enjoying each other’s company. I came away feeling energized and inspired and having made some new friends along the way. Roll on the next lockdown! Discover more on Wicklow Gaol in Chris Rush’s 5 Haunted Places in County Wicklow. I'm a psychic medium and I don't think we'll ever prove ghosts exist!